It’s the only American car that I always wanted so badly. What makes Tesla so alike Apple? Perhaps they all focus on the bottom line. All of Apple’s products are the perfect collaboration of design and user experience. They have answers for all the aspects that are cooperated in the new products, and they never stop working on new aspects. Likewise, Tesla has been working its bottom line. The company puts great efforts in all aspects, from the design of the car to the features and from the range to the supercharge station network. They don’t just create a simple product to sell to us, rather, they create an environment in which you can benefit from their products seamlessly. Tesla Motors’ three-step master plan to accelerate sustainable transportation is pretty much dependent on its ability to build a cheaper mass-market electric car. And Jeff Dahn, a battery scientist who just joined Tesla Motors recently might be the key answer for the path to cheaper, longer-lasting and more powerful lithium-ion batteries. 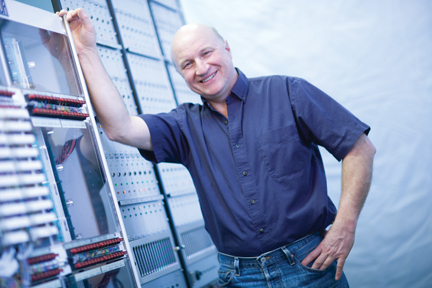 Jeff Dahn is a leading lithium-ion battery researcher and professor at Dalhousie University in Nova Scotia, Canada. He is currently working on a project funded by 3M and the Natural Sciences and Engineering Research Council of Canada to develop longer-lasting, lower-cost lithium-ion battery cells. 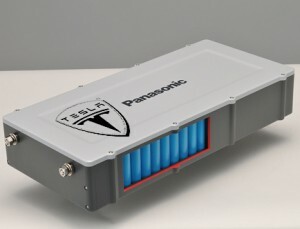 His partnership will begin in June 2016 with the aim of increasing both the energy density — the amount of energy that can be stored in a battery per its volume — and the lifetime of lithium-ion cells, which could, in turn, help drive down costs in automotive and grid energy storage applications. The conceptual result is to store more energy — about another 25% — in a lithium-ion cell simply by charging it to a higher voltage. “The problem is when you do that [charge it to a higher voltage], the lifetime is compromised. So it’s always a trade-off between lifetime and energy density,” explained Dahn in an interview with Fortune. Jeff Dahn will challenge this problem: increase the density of the lithium-ion battery cell while extending the lifetime of it.